Kenwoods have just completed the installation of a condensation control system within a flat in Camden. Following an ongoing problem with poor ventilation causing black mould Kenwood were called to see if a solution could be found. Condensation is a very common problem affecting thousands of homes throughout the country, especially during the colder months of the year. Fortunately Kenwoods have a solution for almost every property type, depending on the layout of the home and the severity of the problem. 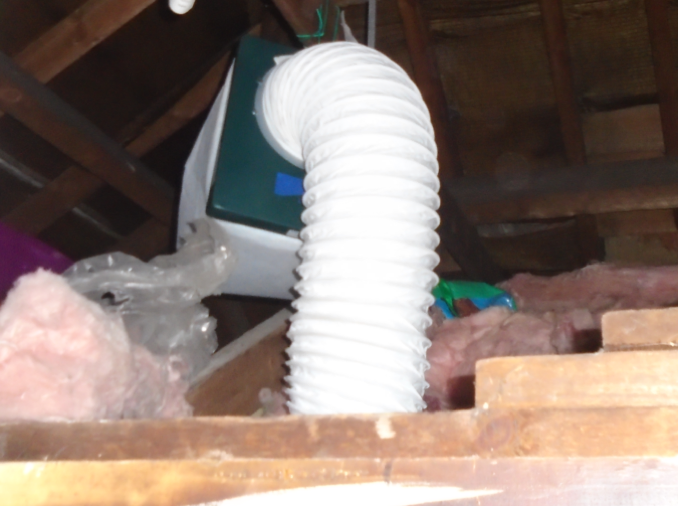 This particular installation involved the placing of a unit within the loft space. This unit brings fresh filtered air into the home, in conjunction with strategically placed vents in the other rooms to allow moist air out. The benefit of the unit being within the loft space is that it is very discreet. There is only a small dome on the underside of the ceiling to provide air flow. With one of Kenwood’s more powerful systems installed the results are visible within a week.